Create an unforgettable birthday party experience with the Downers Grove Park District’s Birthday Party Service. Just invite the guests and leave the planning and mess up to us. Our four party locations offer more than 30 themes! Registration is required at least two weeks in advance. 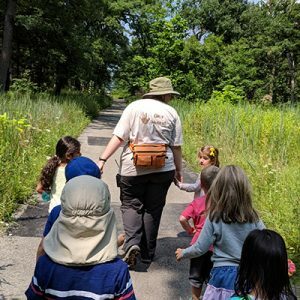 Wild parties at Lyman Woods include outdoor adventures led by a naturalist, as well as time for opening gifts and eating cake at the Nature Center or outdoor picnic area. Extend your party with a 30-minute campfire program complete with s’mores! Choose a unique and fun theme geared specifically towards your child’s historic interests. Each party includes a themed craft or activity and time for opening gifts and eating cake. Strike it gold with adventure golf and a visit from Miner Mike! Two-hour parties include 18 holes of mini golf, cupcakes, drinks and a party leader. 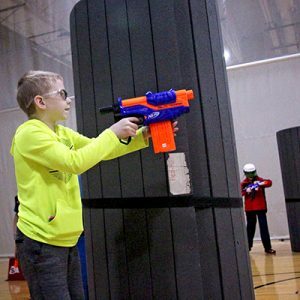 All themed parties are filled with a variety of games and activities and include a two-hour party for up to 15 guests, decorated room and tables, a party host, beverages and your choice of cake or cupcakes. For more information on Downers Grove Park District’s Birthday Parties or to view themes and rates, please call 630.960.7500 or visit www.dgparks.org.